I always think why we can not use our own handwriting to sign signature with computer, only way is use image to display your own handwriting font. Anyway, if we can use own handwriting font with our computer it should be very cool. 1, Download and print a special template. 2, Fill template in your handwriting. 3, Scan and upload template to server. 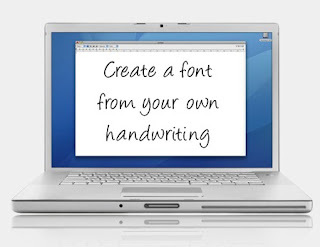 FontCapture will create a new template for you, download and install it to your computer. It is a beta service and free now, I am not sure if it still keep free after beta service. Another similar service Fontifier started paid version after beta version.